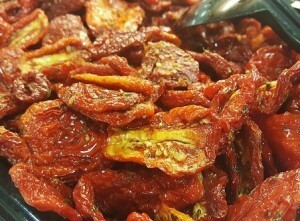 In Salina, one of the most famous islands of the Aeolian Archipelago, the local cuisine offers a product of incomparable taste and nutritional properties a tomato called by the locals with the name of “pomodoro seccagno”. 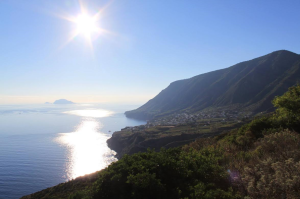 A sailing yacht cruise in the Aeolian Islands would present the best opportunity to enjoy this natural gem. In the Aeolian Islands its cultivation and consumption are a tradition handed down from generation to generation. The tomato`s low necessity of water allows for considerable savings in irrigation costs, also the lack of provision of water in the islands themselves allows the containment of the growth of weeds thus not requiring herbicides and limiting the environmental impact of the tomato`s farming. As well as their intense red colour and their pleasurable flavor, the berries are highly preservable because of their dense pulp and high concentration of nutritive substances, much higher than a conventionally grown tomato that is irrigated. 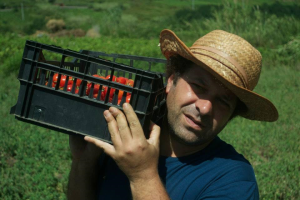 The seccagno tomato is sold almost exclusively in the small local markets. After harvesting (generally in July-August), the berries are traditionally tied together and conserved in clusters called schiocche or pennuli. These are hung in dry, ventilated and cool environments, and kept this way until the upcoming Spring. The tomatoes of Salina are thus subjected to natural desiccation and conserved in extra-virgin olive oil, giving them a very intense and special flavor. 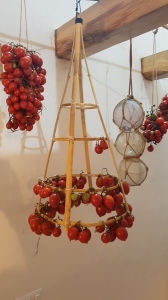 The seccagno tom ato of Salina is cultivated at 400m above sea level and is therefore exposed to favorable ventilation that mitigates the heat of the summer sun. 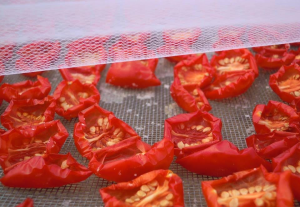 Furthermore the tomato is enriched by mineral substances that are richly present in the Aeolian Islands volcanic soil, infact its aroma and taste are proof of this. With a low content of water and a high content of nutritive substances such as sugars, minerals, antioxidant composites, vitamin C and Carotenoids (lycopene and B carotene) the tomatoes can be preserved for long periods and offer great nutritional value. 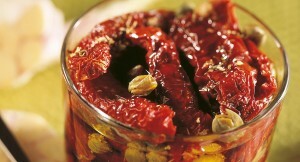 The seccagno tomatoes lend themselves to many a typical preparation and are a well loved fare in the Aeolian Islands where it is possible to taste them in many forms: as a main condiment in salads, on bread with mozzarella cheese and oil, as a pasta sauce and as a flavourful ingredient in many more typical Sicilian dishes. As part of some Sicily sailing yacht cruises you may get to experience a special day activity in Salina where a local garden owner by the name of Michele, who has a real passion for this berry, will show you the secrets of the seccagno tomatoes and let you pluck from the garden the ingredients of a tomato salad that will be later used in the typical Aeolian home of Maria who gives cooking classes on how to put together your own salad, that will be then added as a starter to a typical Sicilian lunch. 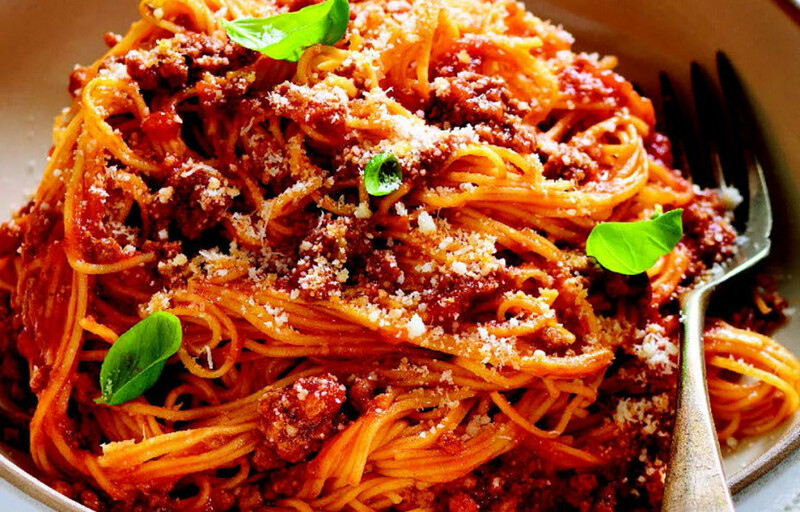 – a sprinkling of oregano, a few leaves of basil, extra virgin olive oil, salt and pepper. Put them in a salad bowl and add the shredded capers (wash them before to take away the excess of salt) add the potatoes cutted in chunks, the chopped basil and sprinkling of oregano. 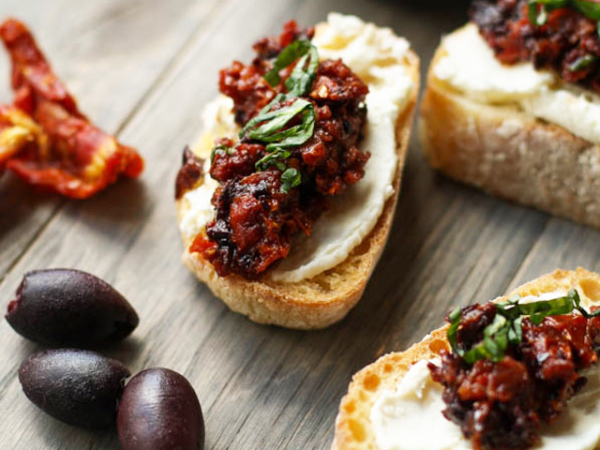 Mix in the toasted bread, the diced onions and the finely sliced olives. Drizzle with extra-virgin olive oil (better if from Sicily) and season with salt and pepper. Then mix the ingredients carefully. Before you bring the salad to the table let it rest for awhile in a cool place, to enanche the flavours…and enjoy!